Taking out the gold and local hero awards for Production Agency of the Year, Webs S’up is a digital consultancy specialising in digital engagement. Following the motto of, “We enhance engagement”, the agency’s mission is to provide its partners with one-stop solutions, strategies and execution plans with digital tools that include interactive banners, websites and mobile platforms. Over the past 12 months, the company produced more than 3,000 banners for its clients; and more than 1,000 digital campaigns, including interactive O2O engagements, were launched. It also achieved a 106% client growth while retaining 95% of its clients. A key campaign for 2015 saw the production house create a 360 online-to-offline strategy campaign, “Fantastic Race Challenge”, for Citibank which saw it produce a mini mobile site, OOH and event set up. As a result, the campaign brought 10 times more traffic and an increase of 80% of new visitors to the site. Among its key clients are Hang Seng Bank, Citibank, Ford, Land Rover, Timberland, and Knorr to name but a few. Earlier this year, Webs S’up merged with Doubleclick’s service provider FiveStones and formed Numiracle Group. The production house is also the only invited marketing agency to be the advanced business partner of IBM and preferred technical partner with GroupM Hong Kong. 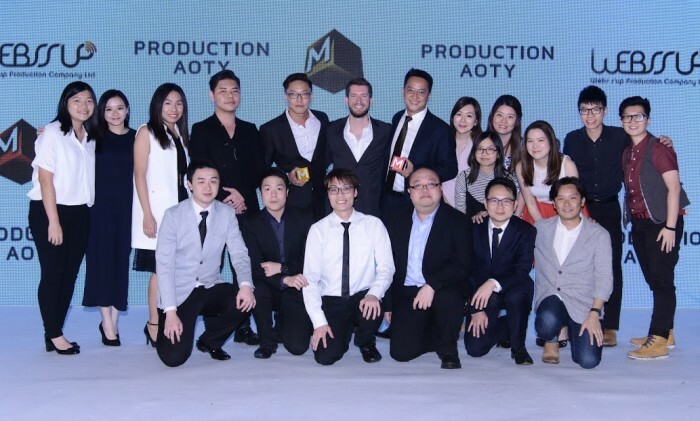 See the full winner list of Agency of the Year Hong Kong 2016 here. “Branding and design is always a box that needs to be ticked." Owner of House, Strip and Tiong Bahru Bakery Cynthia Chua's take on.. He will be partner and managing director for FALCON's Malaysian office. .. Opening from 14 December 2018 until 17 February 2019, the carnival introduces a new logo and a look that represents the organiser’..